Time for a Juice Journey, a Jamba Juice Journey! This article is sponsored. Yep, dad is getting paid. BAM. Benjamins. And Juice. Is there anything better? 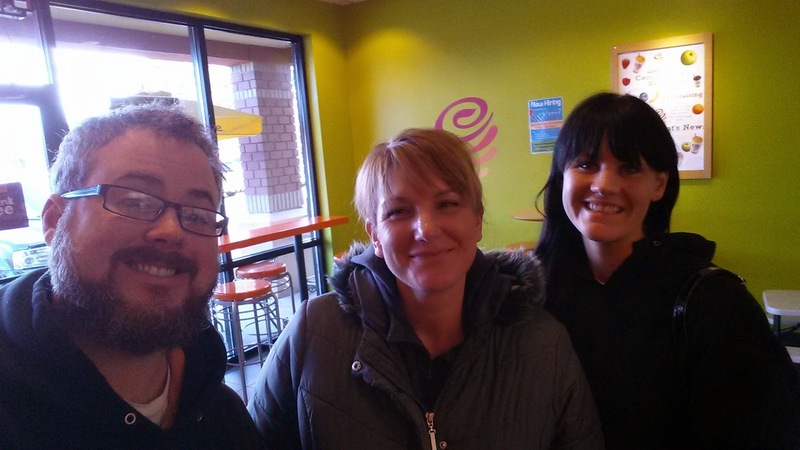 Remember a few months ago when I won a $250.00 gift card to Jamba Juice? Remember how much fun we had thinking of ways I could spend $250.00 at Jamba Juice. Well, here are a few things I did. Granted, it was the middle of the workday on a Tuesday, so there were only two people there. But those people we're very appreciative of their free Jamba Juices. Look how happy they look! Jamba Juice for my office!! The next thing I did was buy Jamba Juice for my whole office! They too were very appreciative, yet less willing to have their picture taken. 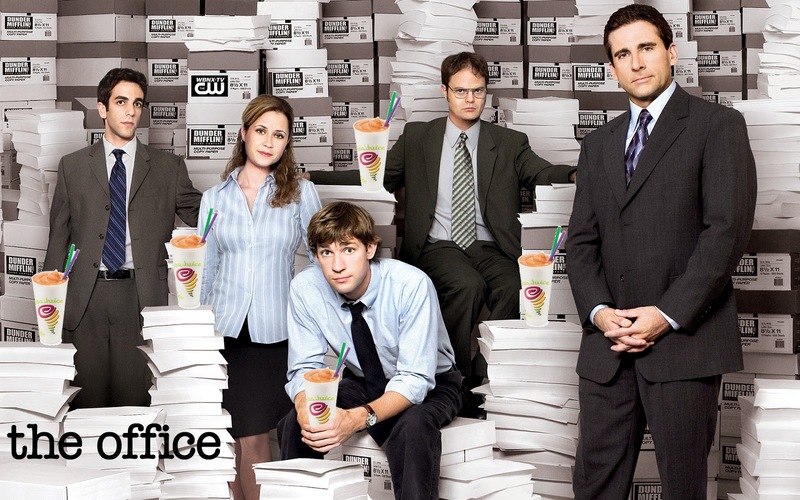 So instead, pretend like these are the people in my office, and not the cast of The Office on NBC that in no way endorses my blog, or Jamba Juice, even though they should, because Jamba Juice is pretty dang tasty! Jamba Juice as Household Currency!! Post by Ask Your Dad Blog. I posted on the Ask Your Dad Facebook page, and on Twitter about all the fun stuff I was doing with my Jamba Wealth and lo-and-behold the good people at Jamba Juice took notice! They had their own idea. Why not try every single Jamba Juice on the menu and let you all know what I think! In return, they are sponsoring a series of posts on Ask Your Dad, a percentage of which will go to my charity driver for the Leukemia and Lymphoma Society!! (See the sidebar if you want to donate). Here is the coolest part. You too can participate in my #JuiceJourney (like it, I made up the hashtag) and get free juice! 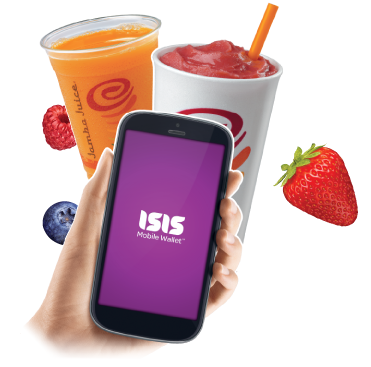 All you have to do is download the new Isis Mobile Wallet App for your Android Phone and stop by any Jamba Juice! They're doing this until they give away 1,000,000 Jamba Juices!! If you take a picture of yourself with your free Jamba Juice, tweet it or instagram it with the hashtag #JuiceJourney and I will add it to my weekly updates! Click here or the image below to find out more! And stay tuned to my social channels and Ask Your Dad for my weekly updates as Duchess, Stevie and I work are way through the Jamba Juice Menu!